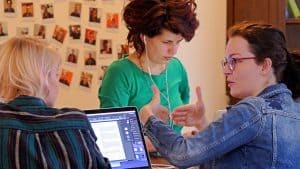 Rent a coworking space in Groningen? 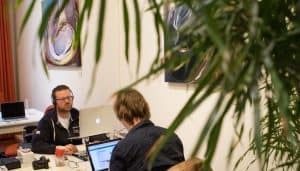 Home » Rent a coworking space in Groningen? 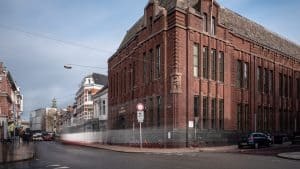 Want to rent a coworking space in Groningen? 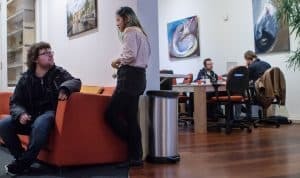 At the Launch Café, you’ll meet fellow entrepreneurs while you grab a cup of coffee and build your business, at a great location right in the city center. We’ve got everything covered, so you can be productive and have a lot of fun while working in the Launch Café. Drop by and get a taste of the atmosphere, before you decide anything. Your first day is free of charge and you’re more than welcome to take a look. Bring your laptop, within two minutes you’re online and all set to get to work. Try it for free. The Launch Café is your place to go for a flexible workspace, fixed workspaces, but also conference rooms and offices. You can rent a flexible workspace by the hour, day or month. Coffee, tea, a lightning fast internet connection and a great bunch of fellow entrepreneurs are all included. Want to know more? 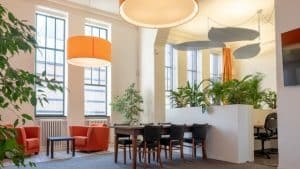 Read all about our flexible coworking spaces and our fixed workspaces. Want to drop by to get to know the place? Feel free to visit us before you decide anything. We’ll introduce you to the people and give you a tour of the building and facilities. And if you want, you can get right to work for the rest of the day, all free of charge. We have 40 workspaces on the ground floor. Ideally suited for entrepreneurs who want to use their own computer screen and want to have unlimited access to their workspace with their own set of keys.